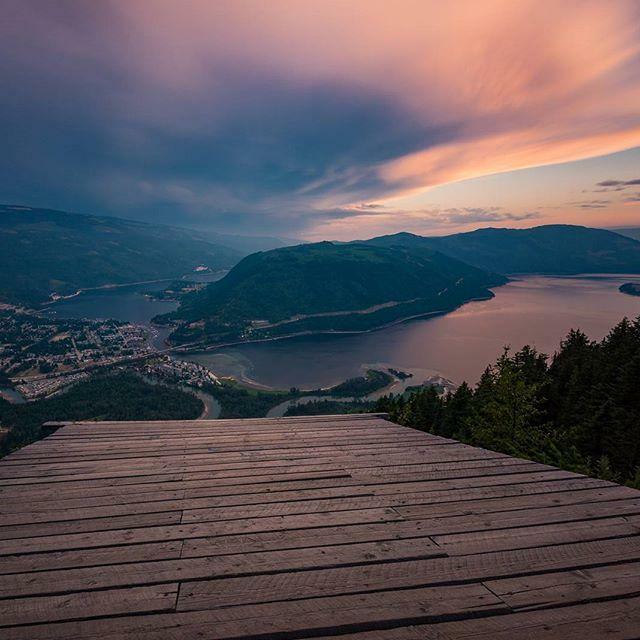 Sprawling, H-shaped Shuswap Lake is so synonymous with houseboating it’s called “Canada’s Houseboat Capital”, with operators offering boats that sleep 10 to 30 to prove it. 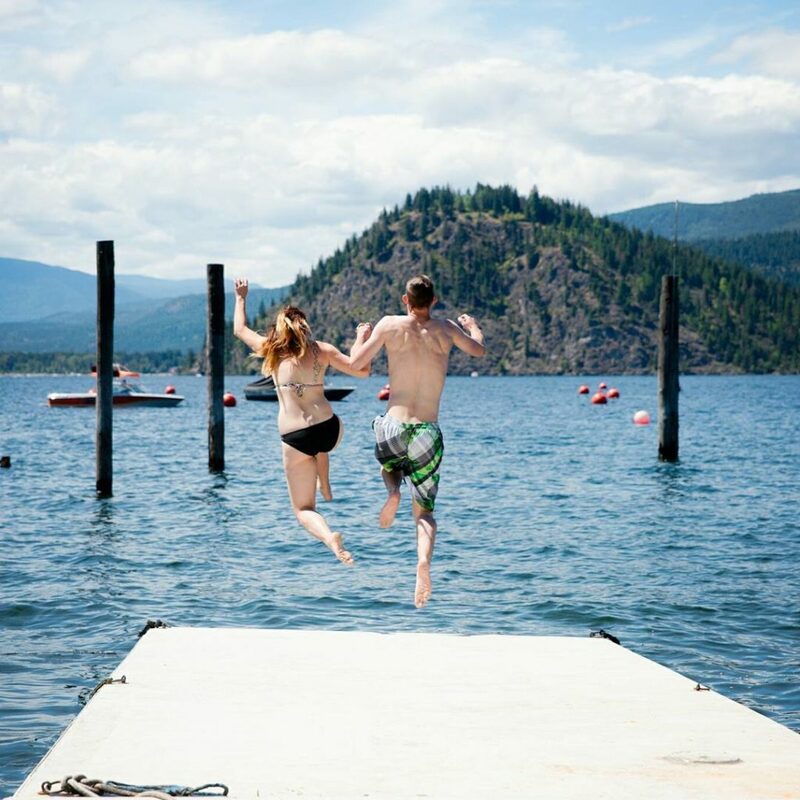 Set in the northeastern corner of British Columbia’s Thompson Okanagan region, Shuswap summers are hot and dry. Though puttering along the lake is a unique, blissful experience, the scenic region has many other options to explore, even on a long weekend. Wake up over blueberry French toast at the Blue Canoe Bakery Café in the main lakeside town of Salmon Arm. Then head to DeMille’s Farm Market or Askew’s Foods that carries over 900 local products from cheese and charcuterie makers to artisanal bakers to build a picnic lunch. If hiking or trail riding are your thing, rent wheels at Skookum Cycle before heading to one of more than 100 hiking or mountain biking routes covering over 700 km (435 mi) of trails of all levels overseen by the Shuswap Trail Alliance. 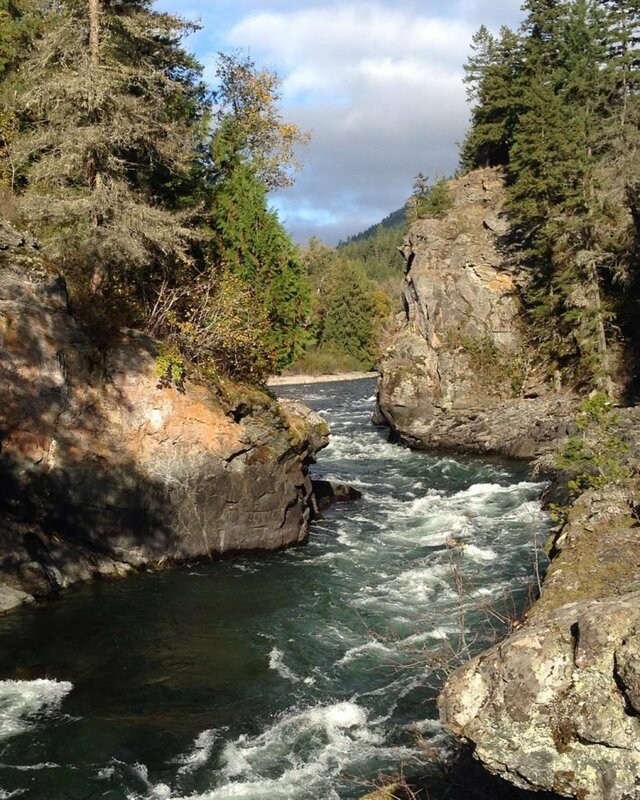 Nearby Tsútswecw Provincial Park is also great for hiking and biking or taking a 2.5 hour rafting tour down the Adams River. In October, the river turns spectacularly red with migrating Sockeye salmon. At lunchtime, spread your foraged local goodies on a picnic table overlooking the water and enjoy the views before heading off to Blind Bay in the afternoon to rent a kayak or standup paddleboard. Or rent a motor boat at the Shuswap Marina to head up to the Cinnemousun Narrows where Shuswap’s arms meet and tie up at the floating Shark Shack restaurant for snacks. Finish up the day sipping a cold one and dining on the patio overlooking the lake at Finz Bar & Grill. Head out to Sorrento’s Sprokkets Café for a legendary breakfast and to peruse their Dreamcycle Motorcycle Museum. Sample Crannóg Ales in Sorrento, Canada’s first certified organic farmhouse microbrewery. Then drop in for tastings at a few wineries, from family-run Larch Hills to Marionette, Sunnybrae and Celista, and stylish Recline Ridge, winners of dozens of northwest wine competitions. Prefer not to drive? Noble Adventures will chauffeur half-day wine tours. Stop for lunch on the lakeview patio at Jack Sam’s restaurant at First Nations owned and operated Quaaout Lodge & Spa on Little Shuswap Lake, then visit the traditional kekuli (underground winter home) or paddle a 12-person voyageur canoe. Drop in to sample cheeses at Grass Root Dairies and take a tour of the farm. Stroll the streets of folksy Salmon Arm, dropping in at the Arts Centre, boutiques, second-hand bookstores, and artisanal shops. History buffs can grab the Historical Society’s walking tour brochure. Finish off the evening on the patio at Barley Station Brew Pub with a casual meal and locally crafted beer. Begin your lazy day off with a leisurely crepe and coffee at the harbourfront Cafe Tasse before strolling the lakeside to the wharf in Salmon Arm—watching for rare birds and resident otters—and treat yourself to ice cream at the wharf’s end. Drive just outside town for easy and beautiful forest strolls in Herald Provincial Park. Settle into lunch at Salmon Arm’s Shuswap Pie Company, featured on the Food Network’s You Gotta Eat Here for their made-from-scratch pies like steak and stout, made using Crannóg Ales’ Back Hand of God Stout. Lounge on Canoe Beach—the closest to the city—or to Blind Bay’s great beaches: Pebble Beach with swim docks or Sandy Beach for sandcastles. Wind down the day over a DIY beachside barbecue or head for the lively Finz Resort Bar & Grill —the perfect place to sip a cocktail watching boats come and go as the sun makes its way to the horizon.